Have you ever wondered what it takes to become a mentor? Consider this an investment in yourself. The intrinsic value of this practical education can’t be found in books. The need for veteran mentors has never been greater than it is today. It’s easy for one our country’s finest to feel isolated and lost upon leaving active military service. They need someone who’s been there before, to help them through these questionable and tough times.  The vision of Hire Our Heroes mentoring program is to provide a positive platform for veterans to acquire a genuine sense hope, and id dedicated to helping veterans transition from military to civilian careers. This hope is provided by veterans who have lived the life and have experiences that are beneficial to transitioning veterans. HOH mentors provide professional mentoring for all branches of the military. Our mentoring program was created under the direction of an all veteran board with diverse backgrounds and unique experiences. Please visit our Bios page for more information. Our mentors have a passion for training and providing the best possible start for men and women who have recently separated from active duty. The amount of time a mentor spends with a mentee is not dictated by Hire Our Heroes; the amount of time spent together is dictated by the needs of the transitioning veteran. The benefit is learning from every encounter and making the most of the time spent together. WHAT IS THE PRICE OF GAINING A LIFE-LONG FRIEND WHILE MAKING AN INVESTMENT IN YOURSELF? IT WILL COST YOU YOUR TIME. This mentor program is yours to gain if you choose to do so. We have volunteers, staff and an all-veteran board that are dedicated to the success and well-being of our returning troops and transitioning veterans, so please contact us if you have interest in joining our organization. It is designed for all of those who choose to take the torch and run their share, on our veteran’s behalves. We are encouraging applicants nationwide to become HOH mentors. Thank you for your support of the program and for our vets. United we serve. Would you like to become a Hire Our Heroes mentor? Fill out the form below to get started!! IT’S THEIR FUTURE, IT’S YOUR LEGACY.